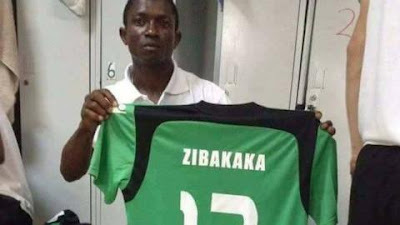 Top Angolan club Sagrada Esperança have announced the death of Ntaku Zibakaka during a pre-season camp in the western city of Benguela. The 23-year-old defender, originally from DR Congo, was taken ill during training, but he was pronounced dead before he could reach hospital. "With a painful heart the club would sadly inform the public, fans, and other members about the sudden death of our player Ntaku Zibakaka," the club announced in a statement. "With a great honour to our departed star and in grief we convey our deepest sympathy to his family as they try to come to terms with their loss." Zibakaka joined the 2005 Angolan champions from his native DR Congo in 2015.